Dream big and push for it. But be reasonable. Don’t set yourself up for disappointment. Hope for everything but expect nothing. 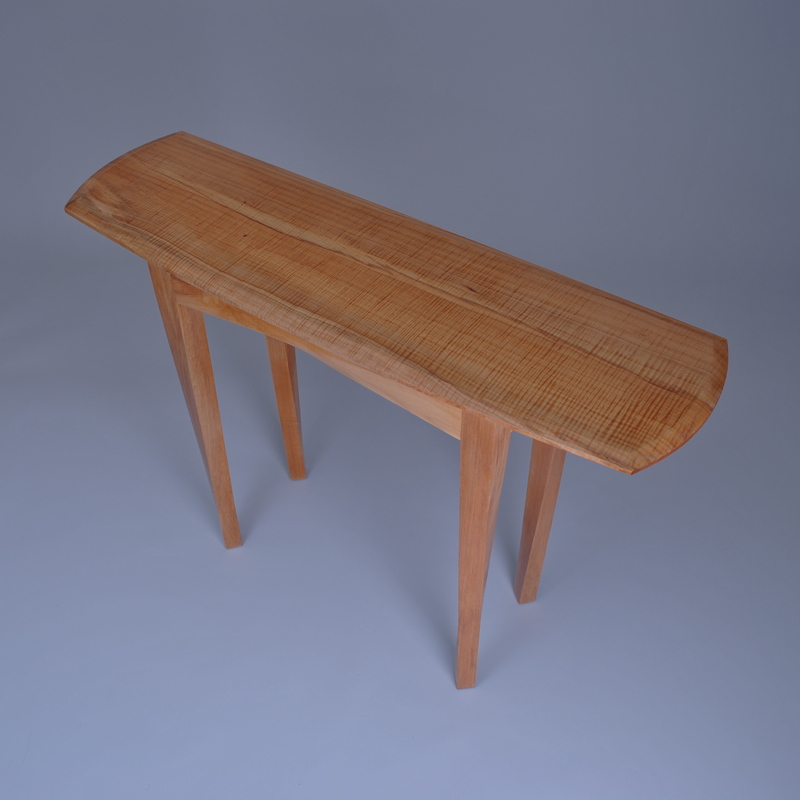 I built my Table with a Twist to submit for “Regeneration: Fine Woodworkers Under 30″. 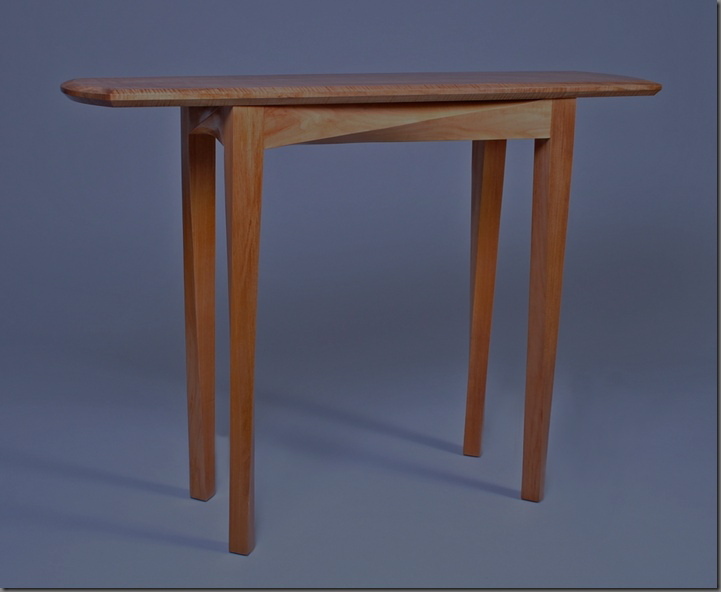 After submitting my table, I, along with another 184 woodworkers, was left to wait for two weeks before I learned if my piece had been chosen. In the end, 22 pieces were selected. Mine was not among the ones chosen. To get into this exhibit would have been a big deal. I wanted to get in and believed that I had a legitimate chance at having my piece included. Alas, despite my best efforts, it was not selected. I don’t know why my table wasn’t selected and I could spend all day speculating but in the end it doesn’t make any difference. Sometimes things don’t always go as you want. Sometimes you have control over the outcome. Sometimes you don’t; if you don’t have control over it, there is no use stressing about it. That my table was not selected has not had a negative effect on me (at least that I can tell). I have confidence in my work and know what I need to do now – take it to the next level. Stay tuned! UPDATE: all selected pieces can be viewed on the Regeneration: Fine Woodworkers Under 30 site. You’re so right; most authors are rejected and ignored until one recognizes them for their talent. This table is definitely worthy of display for both craftsmanship and creativity of its shape. Personally, I think your table rocks. I think you are twisted Chris! In the best meaning of the word. You are very talented and I have learned a thing or two from you. I love your table. You think outside the box all the time. Each failure is a step closer to success. But then your table isn’t a failure outside the context of the contest; it’s a well-designed piece.